Portofino, Italy, is a picturesque village on the Italian Riviera that regularly draws accolades for its setting and service. 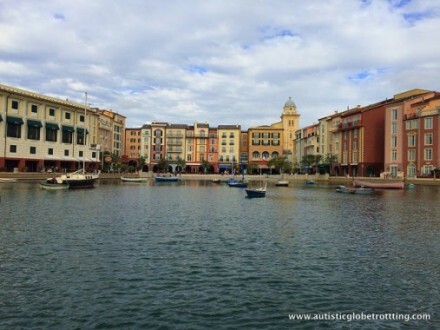 With thoughtful design, a beautiful waterway and top-notch staff, theLoews Portofino Bay Hotel has recreated the majesty of Italy a few steps from the Universal Orlando theme park. 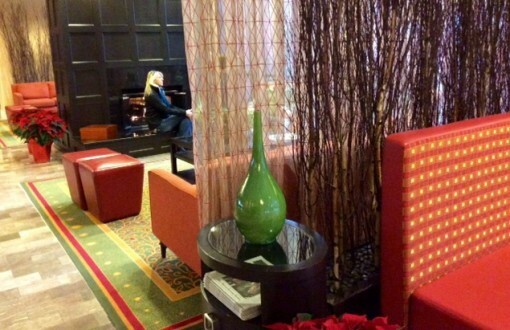 As an added plus, the hotel understands how to cater to families with autism. 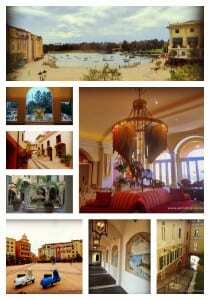 The family-friendly hotel ( rooms starting at $250 per night) is an authentic, detailed replication of the picturesque Italian village and its harbor; including the colorful building facades, detailed arched windows and cobblestone pathways. The public areas are gracefully decorated with natural stone flooring, intricate arched windows and hand painted frescoes on the walls. 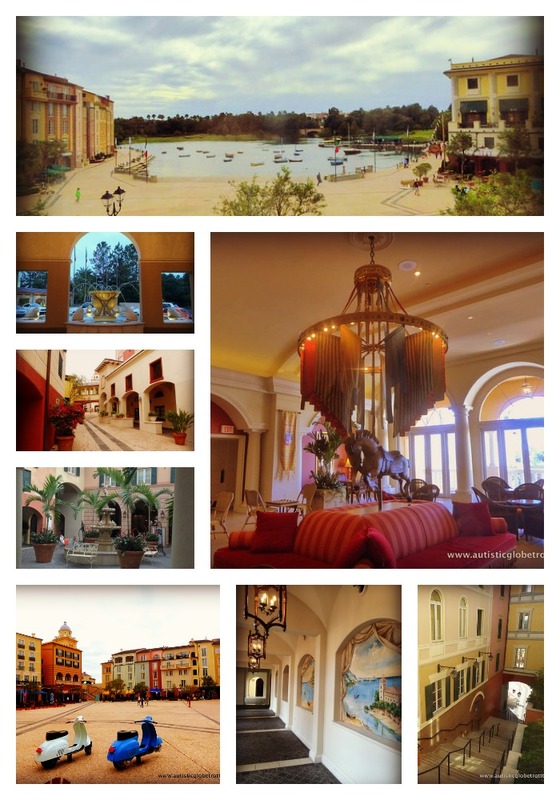 The Loews Portofino Bay Hotel offers luxury accommodation for travelers with multiple on-site food venues, several swimming pools and luscious walking trails that lead to the entrance of the Universal theme parks. 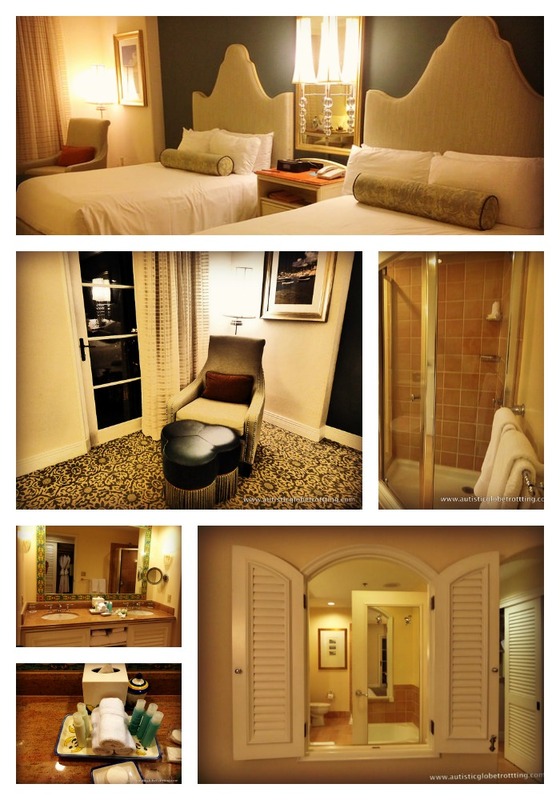 Like fellow Universal visitors, we chose to stay at the property because we wanted an onsite, quiet hotel. As a bonus, staying “on property” includes multiple perks for guests. Among them: daily theme park express passes valued at $89/person, early admission to the Wizarding World of Harry Potter, priority seating at restaurants throughout the Universal parks and free water taxi shuttle to the parks. The excellent service was evident from the minute we arrived in the elegant driveway rotunda and were warmly welcomed by staff who helped us with our luggage. Check-in was a breeze and one of the staff members even took us to the special kiosks next to the executive lounge to print out our express pass cards for the theme parks. 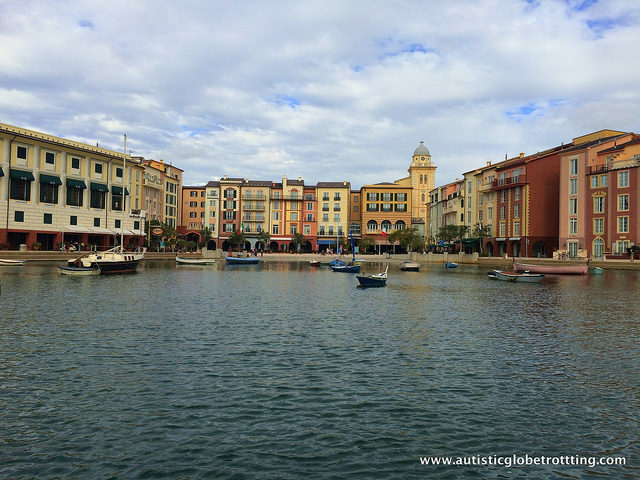 These are very beneficial for all families but especially helpful for families with autism as they allow access to shorter queues making easier to navigate the theme parks. 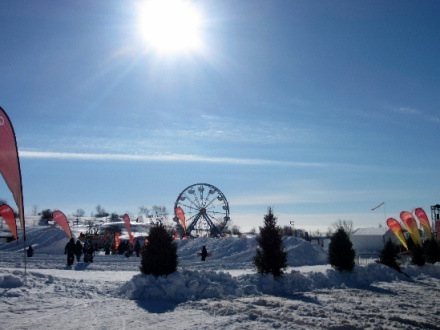 We had contacted the hotel prior to our arrival requesting a quiet and feather-free room due to our son’s allergies and autism. We were delighted to discover that we had been listened to and our needs taken into account. We were given a room away from the harbor and restaurants, complete with hypoallergenic bedding. Room 2419 on the fourth floor was well-lit and decorated in elegant, light brown tones. Quite large and boasting two very comfortable queen-sized beds and a seating area, there were also two folding chairs that could be used for additional seating when traveling with children. It had a fair sized closet equipped with two luggage racks and a safe that could easily accommodate several 10 inch tablets or a laptop. The room had a sizable chest of drawers with a flat screen TV on top, a granite-topped table that doubled up as a desk, with two chairs, along with double nightstands for additional storage. As a family addicted to electronic devices, we appreciated the free and reliable Wifi throughout the resort and that there were an astonishing 12 different outlets throughout the room to recharge our mobile devices. Other room amenities we appreciated were the Keurig coffee maker with coffee and teas supplied, free bottled water, complimentary room slippers and plush bathrobes. Our room’s bathroom decorated in light tones of beige and white had a separate glass-enclosed shower stall, separate tub and two sinks with granite counter tops that provided ample space to put our own travel cosmetics and medicines. We opted to pay extra to upgrade to the hotel’s executive lounge so our son with autism can grab a quick bite to eat when he chooses without having to go and wait in any restaurant. We were not disappointed. Located in a large hall overseeing the Portofino Bay and manned by the friendliest staff we’ve met this year, the lounge offered a continental breakfast, light snacks during the day and a plethora of appetizers with wines and beers between 5-8 pm. These were thoroughly welcome after spending long days exploring both theme parks. 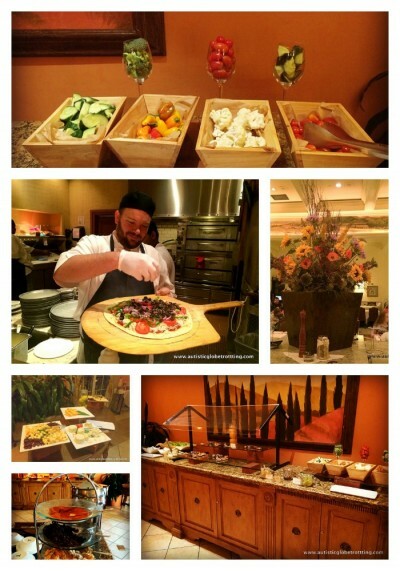 The resort features several food venues that range from budget-friendly to pricey. Trattoria del Porto is a good place for guests craving an ample breakfast buffet for $25 per person, and a spot to get a customized pasta dinner, while Sal’s Market Deli won our hearts with its top notch, freshly baked, crusty pizza and the fact that it offered salads to take back to the room. Regrettably, we didn’t have time to check out the Mandra spa which we had heard so much about, but we did manage to check out the three pools.Our favorite was the family-friendly beach pool with a Roman aqueduct slide and sandy area to play in. The Kids’ Club right off the main pool offers several arts and crafts activities during weekends and holidays to accommodate visiting families. An additional $15/ hour for each child, Camp Portofino offers parents an evening respite program to allow them the option of enjoying a leisurely meal while the children are engaged in arts and crafts projects, computer games, movies or old-fashioned story telling. We found the nightly ‘Musica Della Notte’ in the harbor piazza so much fun. We savored a glass of wine while listening to a blend of Italian opera and romantic Italian music. We attended as many of these performances as we could during our stay. 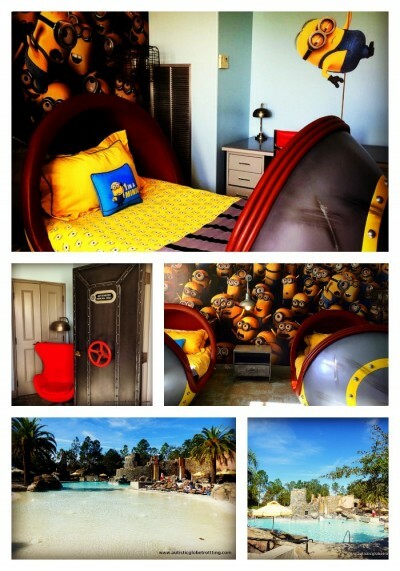 The hotel offers 18 unique Minion suites for die-hard Despicable Me movie fans. 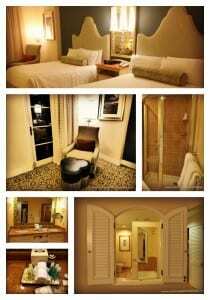 The rooms are decorated with furniture pieces seen in the movie so children get to sleep in battle pod beds and are surrounded by the movie memorabilia while parents enjoy their separate king bed room and balcony facing the quaint harbor. Check out these tips for taking a preschoolers to Universal Orlando and these free things to do in Orlando.